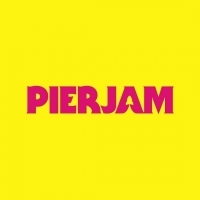 "Blackpool's favourite all-day clubbing festival, PierJam, will return to the North Pier. Set across two outdoor stages and one indoor arena, PierJam is set to welcome 4,000 party people once again to soak up the sunshine, sea air and some of the best DJ talent around." The 2018 line-up included Chase & Status (DJ set), plus Jax Jones, Yxng Bane, Mistajam, Holy Goof, Low Steppa, James Hype, Black Saint and more.